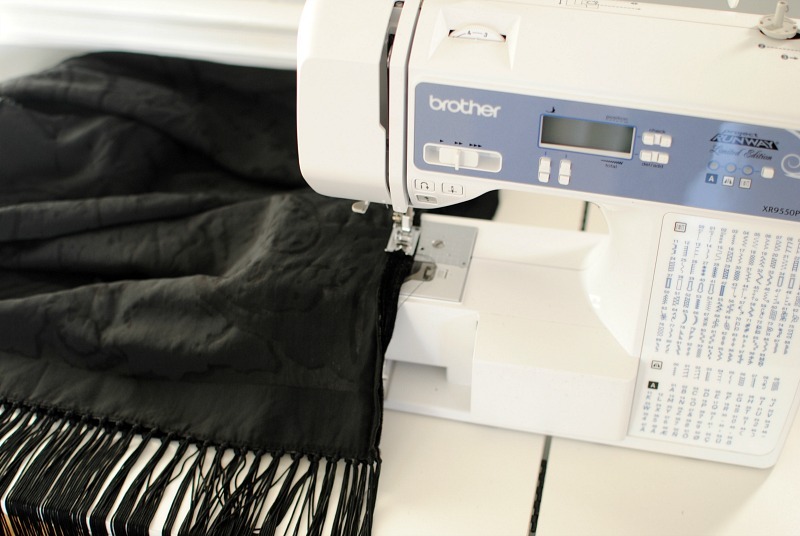 Trash To Couture: DIY Upcycle A Scarf into a Dress (5min). DIY Upcycle A Scarf into a Dress (5min). It may be Black Friday today but instead of giving into the tradition of mass consumption I decided I was going to do a post on upcycling. On Trash to Couture I've done my best to create a blog that approaches fashion and design in a sustainable way. I would say 80% of the materials I use for projects are made with repurposed materials whether that be from unwanted clothing or vintage curtains. This includes sponsored partnerships with brands. This scarf dress I designed is the easiest of projects and all it requires is a scarf! I've had this for years and I love the burnout velvet and fringe detail. I always wanted a dress with this and all it requires is sewing a straight line up the sides. See below how easy it is to upcycle a scarf into a NYE dress. 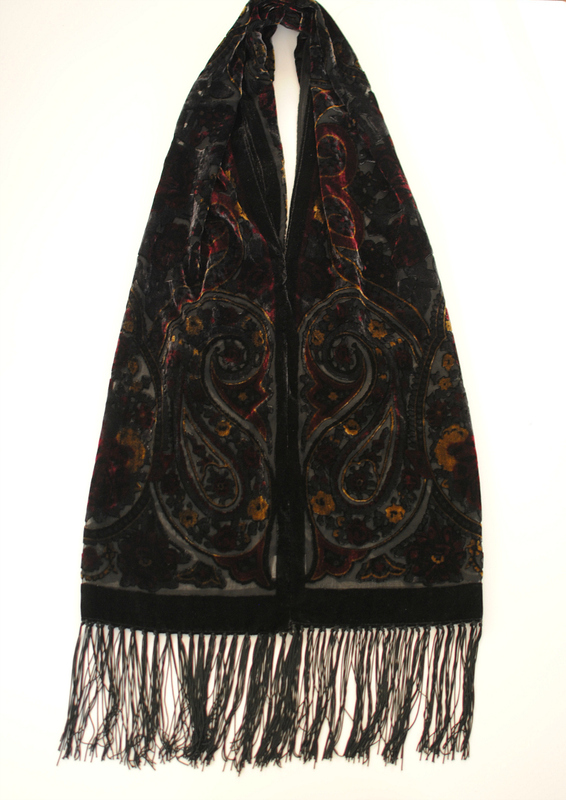 My Scarf Measurements: 70" x 20"
Use a scarf: look for one with fun edges (fringe) and quality fabric (velvet). Fold it in half with right sides together. Sew the sides up from the bottom edge leaving a few inches open on each side. I sewed up 19" for the front and 15" for the back. The seams you just made are the front and back. 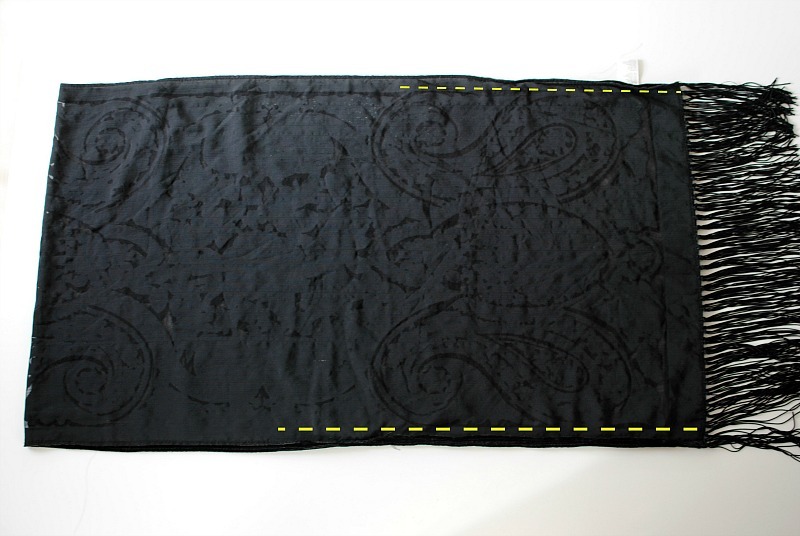 The front side is sewn up farther toward the fold. The back is a bit less (4" or so). *You will have to make sure the measurements work for your body. 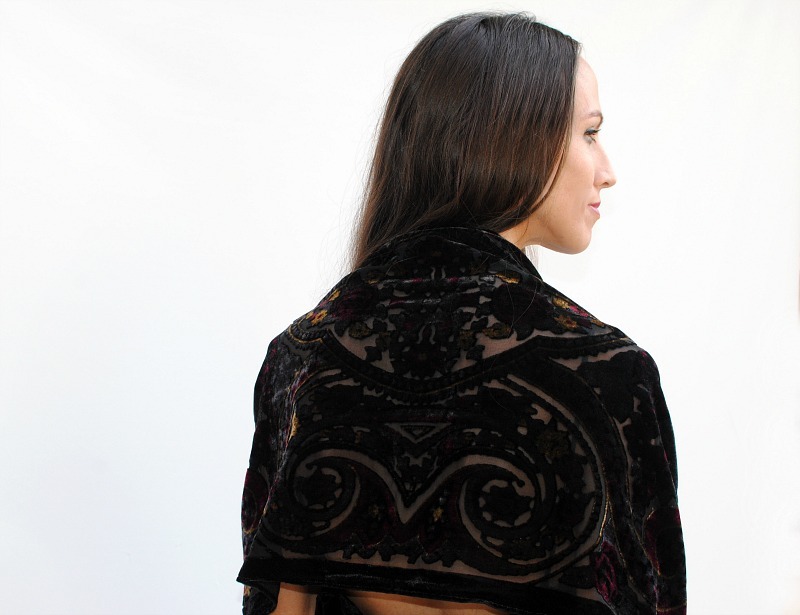 Pick a scarf that is long and wide so it can fit around your body but also long enough for a dress when folded in half. It would be a great top as well if that doesn't work. You can wear this as a halter, a kimono draped over the shoulders, even asymmetrically. Add a sash to tie around the waist. I didn't have to finished any hems due to the natural edges on the scarf. Because mine was a bit sheer I did have to add a slip dress underneath. Well I guess this is only for women without hips. I really had no idea about it! That NYE dress looks really adorable! Thanks for sharing. it looks gorgeous specially that Machine Embroidery Designs !! Students Assignment Help is an outstanding global assignment help agency which provides assignments help for graduate students. Our online assignment writers are highly qualified and have acquired their qualifications from top universities around the world. SingaporeAssignmentHelp is 1st choice of Students of SIM University for Dissertation help online. Our assignment experts are writing assignment with proper and quality for betterment of Singaporean student's academic life.